I appreciate Water Smoke & Mold Removal’s fast response time. I honestly think they are the best property mitigation and restoration company to work with. My experience was adequate and thorough. We had some mold in our house and we looked on Angie’s list. We found a evaluation company that referred us to Water Smoke & Mold Removal. Water Smoke & Mold Removal was always on time and they stuck to the scope of the work they quoted me at the beginning of the job. After they did the remediation, we had the evaluation company come in to inspect their work. Although they did fail the inspection the first time, they did come in to do a remediation again and passed the inspection. I would say that the overall quality of the job was decent and I was satisfied. I was really impressed with Water Smoke & Mold Removal. I would recommend them to anyone. He did an excellent job on the mold abatement. He was quick and did what he said he would. I was also very impressed with the company he subcontracted to remove the furnace and hot water heater. All the cleanup and fix up that went with it was great. He made a very unpleasant experience as acceptable as it could have been. He is just a genuinely nice guy to interact with as well. Knowledgeable, punctual, and thorough! I thought the people at Water Smoke & Mold Removal were extremely knowledgeable. They were punctual so I never had to wait for them to arrive! They were thorough. Water Smoke & Mold Removal removed some mold, which is called remediation. Water Smoke & Mold Removal was referred to us. I would tell others that Water Smoke & Mold Removal is knowledgeable, punctual, and thorough! Excellent Service! 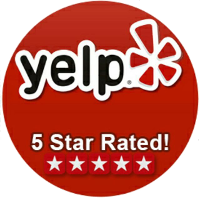 They did an excellent job and I would highly recommend their services to others. Water Smoke & Mold Removal was recommend by our insurance agent. the company’s response was quick, the assessment of the damage was thorough and the estimate was fair. The workman was polite and knew what he was doing. When he was finished, he left no mess behind. I was glad I called. Excellent. In a service industry that is generally sketchy at best it was a real treat to work with an organization that was well run and highly efficient. A true success story. When I unfortunately experienced water leakage in my home, my insurance agent recommended a few companies to deal with the cleanup. This was on Memorial Day weekend, and Water Smoke & Mold Removal were the only ones to get back to me. And not only that, but they called me back immediately, and came out within an hour to assess the damage. They took a look at things, explained what they could do for me, and gave me an estimate. I went ahead and hired them, and they were out the next day. At that time, they opened up the wall to find mold and sheet rock damage. After removing the damaged material, they then set up some dehumidifiers to stop and mold from spreading, and explained my options for the next step. I have a high deductible on my home-owners insurance and Water Smoke & Mold Removal offered me several options for repairs that took a lot of the stress out of the situation. In the end, they recommend an excellent drywall company with a lot of experience. They did an excellent job, too. This option saved me money, for which I am grateful. Thanks to Water Smoke & Mold Removal, what could have been a disaster turned into a very manageable situation. I’m grateful for their fast response and excellent referral. I would do things the same way again. Excellent Service & Educational. I had a client do an air mold test that came back positive for many molds, one being Stachybotrys (aka black mold, toxic mold). If you are unfamiliar with molds, as I was, Jack will definitely do his best to make sure you not only understand how to read the test results, but also how to handle the situation. My clients ultimately walked away from the house, but throughout the entire process, Jack was right there by our side, explaining what was going on and advising us on how to handle things. He was really great and even though he ended up not doing the work he bid on, (only because they chose not to buy the house) he was so helpful and had no problem answering all of my questions and concerns. I am grateful there are still people like him out there in the world who are truly there to help and I would not hesitate to call him again. I did much research on mold remediators and there are many companies out there who are misleading and not even properly certified. Not the case here. If you need any work done, you know you will be getting an honest answer as well as a quick response. I called on a Thursday and he was able to come out the next day for inspections and was even able to start the job right away if need be. I hope I never encounter mold like this again, but if I do, I know who I am going to call. Very professional, very helpful and most importantly, very caring. He gave me great advice as well when I researched others so I knew what to look for. He is absolutely someone I know I will refer others to when the time comes. If you do your homework, I know you will be calling Jack for the job. Water Smoke & Mold Removal is fast, friendly and professional! I was at my second home, recovering from some intense surgery, when my daughter called me sobbing from our other house. Apparently, a water valve had broken and for about two days water had been leaking out and causing damage. My insurance agent recommended Water Smoke & Mold Removal, and they got out there really fast. They immediately started taking care of things right away. My daughter said they were so nice. I ended up going over there to see the damage for myself. They explained everything they had done and were in the process of doing. They were doing a good job, but more than anything, they took the time to reassure me and to make me feel comfortable, especially since I couldn’t be there to oversee the entire process myself. They completely took away the out-of-control feeling I had, and took the reins. They were professional, but they were also friendly. It might sound odd, but I felt like they were friends and I trusted them completely with my home. They took over and dealt with the insurance part of it too. I really appreciated them and all they did. I’ve already recommended them to people with water damage and well, whatever other damage they clean up. I hope that I never have to use them again, but if I ever have water damage again, they’ll be the first ones I call! They did a very good job. Water Smoke & Mold Removal basically dried out a room for me. I had water damage in a room from a hole in the wall. They came in, put in their machines, and dried it out. All they did was remove the moisture, but they did a good job. Excellent, fast service! As a Commercial Property Manager, I have worked with this company several times. They have always been very professional and provide fast, efficient results. I would highly recommend them to anyone concerned with any type of property damage. Water Smoke & Mold Removal came in with a solid plan and got it done. Water Smoke & Mold Removal had a good plan for mold remediation. They showed up on time and were extremely efficient. They were very clean about the way they set to work and hard-working. They even had a follow-up day and came back in, scrubbed everything down again and then left everything clean and ready for us to repaint and re-carpet. I really hope that we won’t have to use their services again, but I definitely would if I had to. Water Smoke & Mold Removal turned an awful situation into a bearable experience! Water Smoke & Mold Removal totally saved me from a slow leaking dishwasher. I have no idea how long the leak was happening, but the damage was extensive. Thank goodness for HomeoTwners Insurance! Water Smoke & Mold Removal came in and had to remove everything in the kitchen. They even packed up the things in the cabinets and labeled the boxes! Then they took out the whole floor. They got rid of the saturated parts and got rid of the mold build up too. Then they dried the rest of the floor that was salvageable. They were fast and professional. They always kept me updated on what was going on. While they worked, they were so careful in protecting the rest of our house and laid out plastic runners throughout. The workers were all so nice, respectful, courteous and professional. I can’t wait to get back into my kitchen! I’d use them in a heartbeat if we had another emergency like this! I was very comfortable with the work they provided and would recommend them. They were very friendly and went above and beyond. I would use them again. Just a note to thank you so much for the great job you and your employees did cleaning my house. However, I did want you to know how much I appreciate all your effort, including the extra “miles” of cleaning in the bathroom. May God bless you. Thank you. Thank you for creating your professional cleaning business. Thank you for cleaning after our beloved brother’s death. Thank you for caring. Know that for all of our family you made a difference. Know that you helped us while we were stunned. Know that you eased our hearts. Know that we thank you. Our deepest gratitude. Thank you guys! A job well done! Thanks so much for your quick response and professional care in restoring my “wet” house to dryness. You have made a difficult time as easy as possible and I do appreciate it & you very much! Thank you Jack for your help in remediating our water problem. Your crew was very professional and courteous. I will certainly recommend you to our family and friends. We sincerely thank you for all you and your crew did in taking care of our damaged home. We appreciate how quickly you responded and cleaned our home and dried it out from the water damage. Thank you so very much Jack for your true caring of getting the job done and for meeting all of our concerns. It was a very difficult time for us since we were away from home at the time also caring for elderly parents for the past 3 months. Thank you for working with our insurance company and payment issues. Sincerely, thank you.